Canada's Centerra Gold (TSX:CG) on Monday said it had reached a comprehensive agreement with the Kyrgyz Republic in its drawn out environmental dispute over the firm’s Kumtor gold mine. The settlement agreement would end mutual lawsuits, drop all environmental claims , halt court proceedings and allow Toronto-based Centerra to transfer funds from the country that had been frozen by the central Asian nation. Shares in Centerra climbed as much as 3% in morning trade in Toronto Monday. Gains for the stock since news of a deal first leaked last Wednesday now total more than 20% affording the company a market value of over C$2.6 billion on the TSX. Centerra said that is in the process of transferring the cash held by its local subsidiary, Kumtor Gold Company (KGC) – nearly $300m by some estimates – that is over and above KGC's working capital requirements. All restrictions on the movement of Centerra employees have also been lifted. Under the agreement Centerra will pay US$50m to a so-called Nature Development Fund and make annual contributions to the fund to $2.7m. A cancer care fund set up by the government will receive a further $10m from the company. Centerra will also invest $6m annually in a Kumtor reclamation fund based inside the country to a minimum of $69m. That figure broadly matches the company's own estimate of the site's total rehabilitation costs. The Kyrgyz government owns just under a third of Kumtor and the mine contributes nearly 10% of the country's GDP. The miner, the largest Western-based gold producer in Central Asia, successfully sought international arbitration in May last year, following the Kyrgyz Republic’s string of penalties, fines, accusations of environmental damage and violation of business deals. 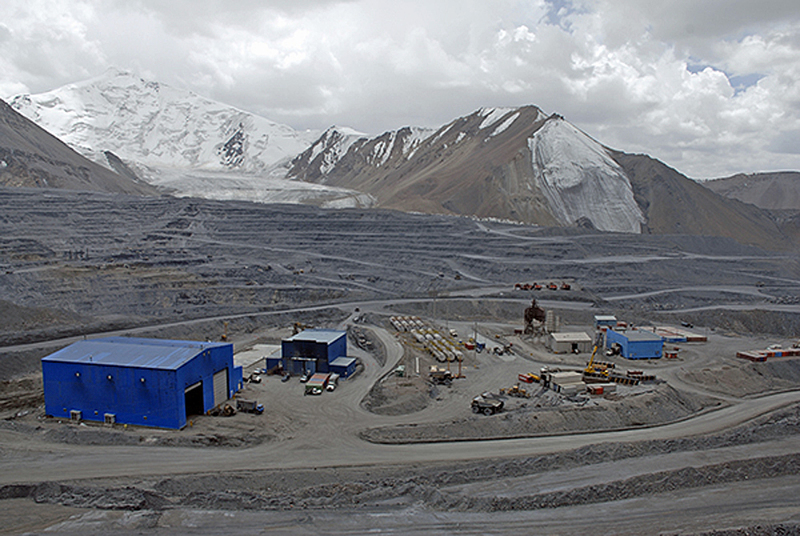 Last year a Kyrgyz court ordered KGC to pay about $98m in fines related to mine waste while another government body filed a $230m lawsuit against the firm. Kumtor, which lies near the Chinese border at an altitude of 4,000 metres, has produced around 11m ounces since inception and remaining reserves are pegged at 5.6m ounces. In November Centerra said it was increasing its gold output guidance for the mine to 525,000 to 555,000 ounces and lowering all-in sustaining cost forecast to $751 – $795 per ounce. Centerra has been shopping for assets in other jurisdictions and last year acquired US-based Thompson Creek Metals (TSX:TCM), picking up the Mount Milligan copper-gold mine in British Columbia, Canada, in a $1.1 billion deal.